SA Trailers offers a wide range of Flatbed Trailers. We can custom build Flatbed Trailers to suit your individual needs. SA Trailers offers a wide range of Flatbed trailers including custom and commercial grade trailers. Check out our Buyers Guide for more information on whether the Flatbed trailer is right for you. All SA Trailers come standard with a spare tyre, heavy duty jockey wheel and 12 months registration included in the price. SA Trailers offers full custom trailer build options. Call us on 0412 836 296 or Contact Us for prices or assistance with your custom trailer needs. SA Trailers is now offering Trailer Pay. Trailer Pay is Australia’s largest reseller of Trailers. Trailer Pay purchases trailers as a reseller from a network of trailer manufacturers which enables them to sell these trailer to you, the customer on a payment plan. Trailer Pay offer a massive range of quality trailers? with simple & fast approval bundled into easy fortnightly payments. See more. We also offer Trailer Finance. 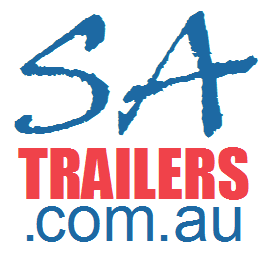 SA Trailers offers a wide range of quality South Australian made trailers including: Box Trailers, Cage Trailers, Car Trailers, Tipper Trailers, Tradesman’s Trailers, Enclosed Furniture Trailers, Flatbed Trailers, Lawnmower Trailers, Motorbike Trailers, Plant Excavator Trailers, Tilt Trailers, Off Road Trailers, Camper Trailers, Chassis Trailers, Tiny House Trailers, Food Van Trailers, Galvanised Trailers, Second Hand Used Trailers and more.